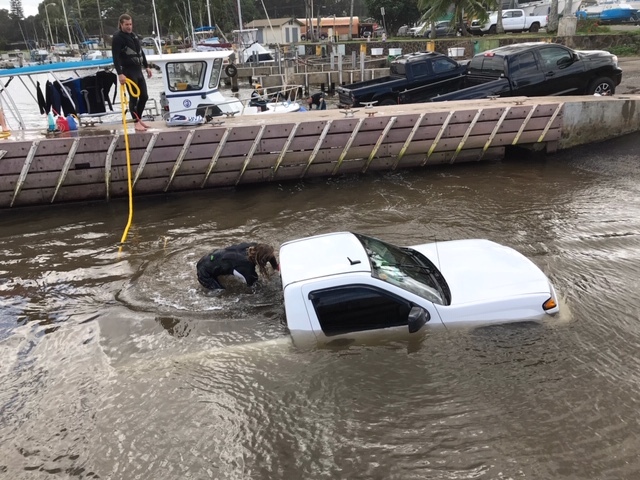 Three DLNR Division of Conservation and Resources Enforcement (DOCARE) officers on the scene immediately went into action and helped the driver pull his truck out of the water. Officers James Covell, Al LaGunte and Richard Pu‘u spent about 20-minutes “roping” the truck with tow straps and helped get it back onto safe ground. The driver of the truck was not hurt.